Trust The Unknown . 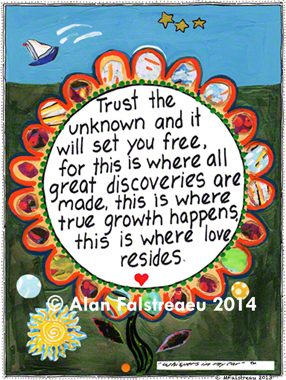 . .
Trust the unknown and it will set you free, for this is where all great discoveries are made, this is where true growth happens, this is where love resides. Breaking Glass . . .
What You Think You See . . .